From time to time you may find yourself stuck in a rut when it comes to your fundraising strategy. While this happens frequently when planning a campaign, it is important not to get discouraged. What works and what fails for fundraising campaigns changes all the time. What makes a successful fundraising campaign today is different than what made a difference ten years ago. Even though it can be easy to get lost in the many different possibilities for organizing your fundraising methods, there are a number of ways you can improve your fundraising almost immediately and with little effort on your part. When looking at potential ways to up your fundraising game, you should take the time to examine your current strategy and learn where and how you can make improvements. No two nonprofits are alike, especially when it comes to fundraising. You’ll find that campaign strategies will vary depending on your cause and mission. Don’t wait for your fundraising campaign to plateau. Go ahead with these suggestions and get started on making your campaign the best it can be! Most fundraising campaigns force a specific focus on making asks to individual donors either through online or direct mail campaigning. While these methods are effective, what if this wasn’t the only way to fundraise? Despite most digital fundraising efforts being done through individuals, recent developments in tech and the nonprofit world have allowed organizations to take advantage of their donors pre-existing social networks. Crowdfunding is the perfect way to not only make individuals donors feel more included in your fundraising process, but also to tap into their friends and family who might be potential donors in waiting. What is crowdfunding? Crowdfunding is a form of social network based fundraising that takes place either through social media or through specific crowdfunding based platforms. How does crowdfunding work? Crowdfunding works in a similar way to what is known as peer-to-peer fundraising. However, for a crowdfunding campaign, even if an individual is actively fundraising on behalf of a cause, the fundraising page itself isn’t personalized like it would be for a peer-to-peer fundraising campaign. How can crowdfunding help a nonprofit? Crowdfunding adds a social and personal level to your donors’ experiences. It taps into a wide range of potential donors you might not have found otherwise, and it makes donors feel more involved. With this key information in mind, you can use crowdfunding to your advantage and take your fundraising campaign to the next level. Fundly’s crowdfunding tips on their blog are also a great starter point to learn more about how crowdfunding can work for you. So you’ve done the work in getting potential donors to connect and engage with your nonprofit. Perfect. You may have even used brilliant crowdfunding strategies to spread your message on an even larger scale. However, you could be missing out on maximizing the size of each gift from each individual donor. That’s why your nonprofit needs to examine matching gift opportunities. Matching gift opportunities function as a way to get the most from your donors. But if you don’t do the right research, then you might find your efforts wasted. What are matching gift opportunities? Whenever a company will provide a contribution of an equal or greater amount compared to their employees, this is called a matching gift option. Some companies may contribute more or less, depending on their specific policy. What is prospect research? Prospect research is a form of data collection that can help identify key demographic information about your contributors, including whether or not they work for a company that has a matching gift policy. How to use prospect research for matching gift opportunities. Identify specific donors that are employed by matching gift companies and focus your efforts on stewarding these donors. You will find that with this easy step you can often double the contribution these supporters have already decided to give. Any kind of research you can do on matching gift donors will prove to be very effective for your fundraising campaign in the long run. You’ll find the that with the right matching gift contributors, your fundraising efforts will be cut in half with absolutely no extra time and labor on your part. The organizational aspect of fundraising campaigns is a frequently overlooked spot for potential improvements. This is especially true when it comes to what kind of digital technology your nonprofit is using to fundraise. Streamlining the logistical side of your fundraising campaign is a simple step that can be done in a very small time frame. Anyone who’s a part of your fundraising efforts will be grateful that you’ve made their job easier, and donors will notice the change in efficiency. The proper software can make all the difference when organizing fundraising strategies. Take a good look at your campaign and make a fair assessment of what tasks and goals could use some extra assistance. Understand your fundraising needs. What is the end goal of this particular campaign? Is it a capital campaign with a concrete aim or is it on a smaller-scale? Taking these elements into account are highly important. Organize your fundraising strategy. Understand where your campaign’s logistics can be improved and what areas are in desperate need of a fix. Pick the correct software. There are many different kinds of software available for your fundraising campaigns, including both free software and for-pay software. It is up to you to make the right choice for your organization. The right fundraising software can affect your fundraising effectiveness by a surprising degree. So be careful and do your research when it comes to choosing which program you want to manage your campaign’s logistics. A good number of organizations are surprisingly in denial when it comes to what kind of person is most likely to engage with their cause. Chances are that if you don’t understand who is engaging with your nonprofit’s mission, then you are not being entirely efficient in your fundraising efforts. Understanding your ideal supporter will come in handy not only when implementing these campaign improvements, but also throughout the fundraising process. Collect data from previous fundraising. Track fundraising metrics in your CRM to understand how where past campaigns went right and where they failed. Look at who was most likely to give and who wasn’t. Combine data with current research. Combining past data with any current surveying or information you might be collecting is highly effective when understanding your ideal donor. Target your perfect contributor. Capitalize on your research to tailor your fundraising campaign. For example, millenials are more responsive to some forms of fundraising than others. If you’re not looking at the right audience for your fundraising, then even your best campaign strategies will mostly become ineffective. And you certainly don’t want all the hard work you put into organizing your campaign to go down the drain. Use these suggestions to make sure that your campaign targets the donors with the highest likelihood of connecting with your cause and to ensure continued support from donors in the future. Often times the issues that are preventing success in your fundraising campaign can’t be seen internally. In these cases, it could be helpful to use an outside source to examine where and how your fundraising campaign can be at its best. This is where fundraising campaign consultants come into play. Campaign consultants can prove to be invaluable resources for understanding the obstacles facing your fundraising efforts. Additionally, they can look at your current strategies to ensure they reach peak effectiveness. What can a consultant do? A consultant can do anything from troubleshooting technical issues to taking on an extra leadership position. It all depends on the needs of your specific nonprofit. What kinds of consultants are there? Consultants can act as leaders or observers in your fundraising campaign. Some can help train staff and others can brainstorm potential improvements to your fundraising process. Where can I find a campaign consultant? Thinking of partnering with a nonprofit consultant? Aly Sterling Philanthropy’s guide to hiring fundraising consultants can help you get started. If you are thorough in exploring your options for campaign consultants, you’ll find the right expert who can give your fundraising campaign the extra push it might need. Never underestimate the value of an outside perspective, and if it’s the right fit for your nonprofit, find a great campaign consultant for your fundraising as soon as you can. You might think that your nonprofit has its fundraising efforts streamlined. But if you were to take a second look at your campaign, you could realize that there are multiple areas where positive changes can be made. Simple and effective improvements such as implementing crowdfunding and proper software choice can make a world of a difference when it comes to minimizing the extra effort you put into your campaign. So why wait on improving your fundraising strategies? Use these tips and start seeing the effects in no time. Lomesh has over 25 years of experience in international corporate leadership with a strong emphasis on marketing technology and data management systems. Lomesh has worked with small to mid-size businesses, privately-held companies and Fortune 500 corporations in various capacities; from sales and marketing to overseeing automation and re-engineering of processes and operations. 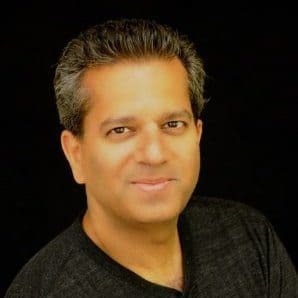 As CEO of NonProfitEasy, Lomesh spends much of his time immersed in the nonprofit industry both as an industry leader, speaker and in service to several organizations as a board member and volunteer. Outside of the industry, Lomesh is a technology junkie and will give anyone willing to listen to an assessment of the latest trends in anything from espresso makers and mobile gadgets to electric cars and wind power.